Here's a couple things that we suggest that you do before your waxing appointment at YT Body. Warm, not hot, as this can make the skin more sensitive. It'll help open your pores, which makes removing the hair easier. Exfoliate your body with a body scrub. 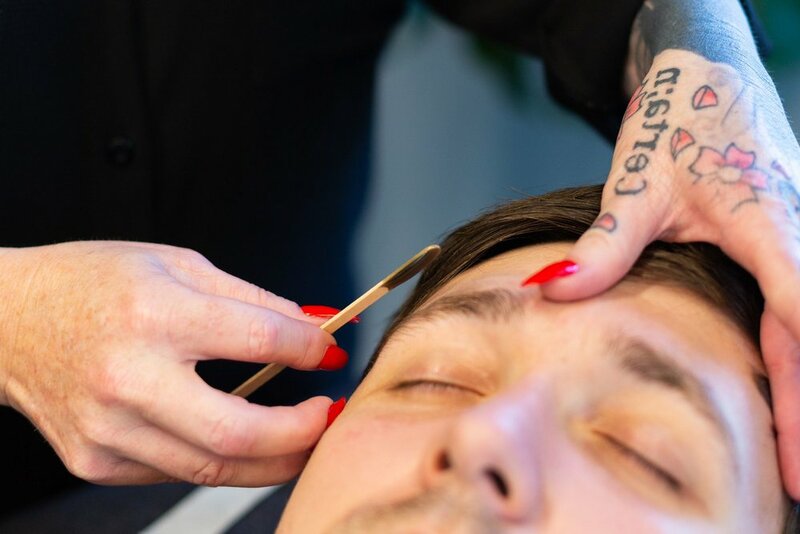 This removes dead skin cells and oils left behind by soaps and moisturisers, and that means the wax will be able to grab hold of the hair more easily, quickly and painlessly. If you’re feeling sensitive, and if your doctor agrees, drop a basic painkiller half an hour before your wax. It can help with the pain if you need it, but we reckon you will be just fine. If it’s your first time you might be a bit apprehensive, and so the best thing you can do is chill. The more that you tense, you are more likely to feel the pain, so try and remember the lessons from that yoga class you did that one time. Otherwise, take the focus away by requesting some favourite tunes, or just strike up a conversation with our Men’s Grooming Expert, Fiona. If you have had it done once, don’t leave it until your hair grows back to its natural length again. Once your hair has reached a length of a quarter of an inch (or 6.35mm for those on the metric system), book an appointment and ride the lightning – you’ll have it tamed in no time. Try not to avoid drinking caffeine or alcohol for a few hours before your waxing. The chemicals can make your skin more sensitive and increase any pain. Every now and then someone thinks it will be a clever idea to numb their skin with ice…it’s a bad idea; the cold will tighten your pores, making the hairs harder to remove, making your experience less pleasant. Being on time means you can keep calm and relaxed, which is a no brainer.